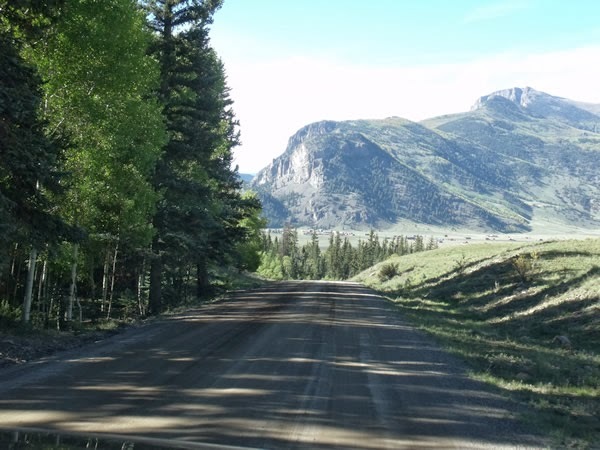 I recently took a 970 mile road trip which covered three corners of Colorado. I left on a Friday morning to go to La Junta to attend the funeral of my friend's father. I did not know him but I wanted to support my friend. His father was a church planter, a pastor, and essentially a missionary in Eastern Colorado. It was encouraging to hear everyone speak of how he led through prayer, raised up leaders, and served the Lord all his life. 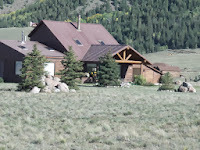 Because the next day I needed to be in Creede, I did not go home but instead went to my in-laws in Colorado Springs. So, on my way home, I went through Swink (click image for larger picture). 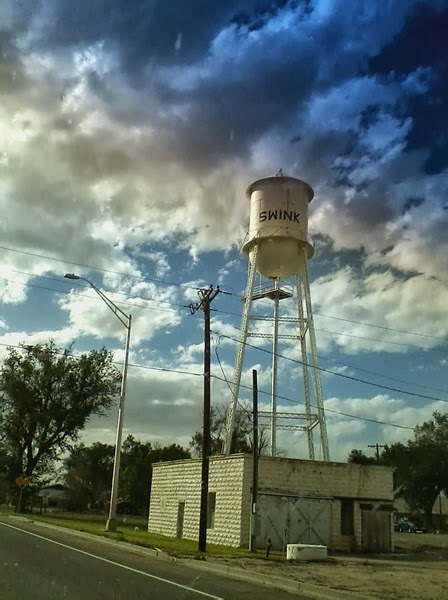 I took a picture of the town's water tower with my phone on the fly so it is not the best picture but OK. When I was in La Junta, I stopped at the local Wal-Mart and picked up a Swink Lions shirt (click here for my post about high school mascots). I also stopped in Rocky Ford and picked up Meloneer shirts for my wife, my daughter, and myself. It was good to drive through some of these small towns I have not really heard of before. 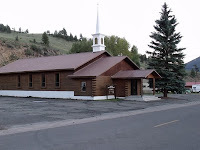 Saturday, I headed out for Creede, as I was to preach there on Sunday morning. It is about 4 hours from Colorado Springs but I was going to take my time. It was a beautiful trip. 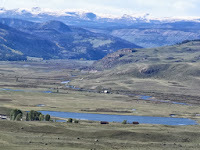 If you have not been to the Southwestern part of Colorado, I would encourage you to take some time and visit. The church had me stay with a very nice couple. They had a lovely cabin (click image for larger picture). They had a fantastic view from their front porch. The husband pointed to a formation of mountains and said, "They call that 'The Sleeping Indian'. Can you see it?" I indeed could see why they called it that. Here is a picture of that formation (click image for larger picture). I preached Sunday morning for a great group of folks from all over the country. They all come and spend the summer in Creede and then go home for the winter. It was a good group of folks. They were very receptive to the message and were very gracious and hospitable. I also preached Sunday evening for them. There was a good group who came back for Sunday Evening worship, which I thought was impressive. 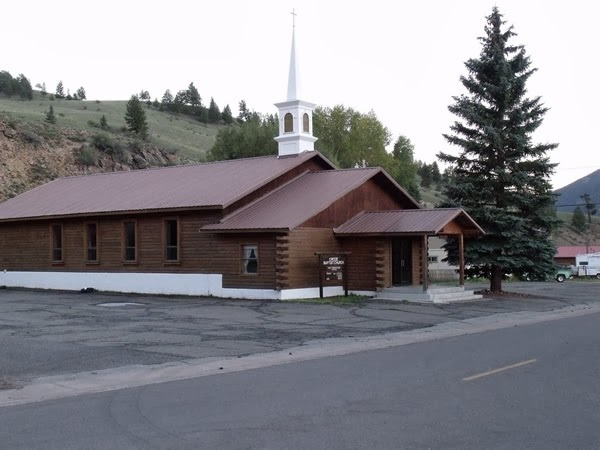 Here is the church building (click image for larger picture). After church the husband drove me around the area for a little bit. He showed me some of the sites and gave me some great history of the area. He was quite the historian and knew the place very well. The leaves were not quite their brilliant color they would normally be this time of year, but they were still an amazing display of God's creativity. Here are a couple of pictures of the landscape (click images for larger pictures). I believe this is the San Luis Valley. The river is the Rio Grande, whose head waters are close to Creed. It flows from here all the way down to form the border between Mexico and Texas. 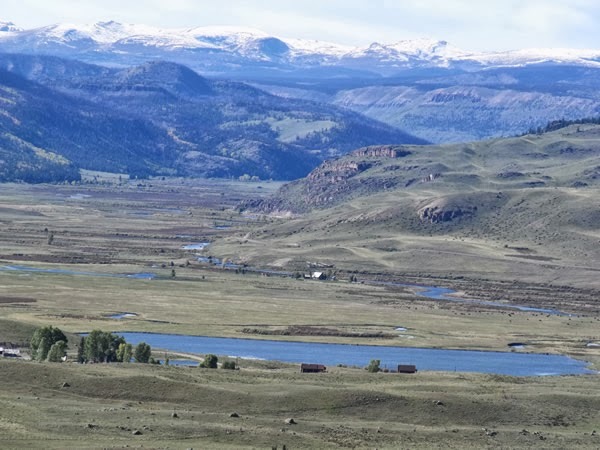 This was such an expansive view, showing the river and the valley, the hills and the mountains, I had to stop and take a shot. I took this shot down one of the roads we were traveling. I am pretty sure the mountain is Bristol Head Mountain. 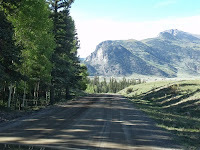 I liked this picture of the road, the trees and the mountain in the back ground. I traveled back to Colorado Springs that Sunday evening, and the back home the following day. All in all, I drove 970 miles in 4 days to 3 corners of this beautiful state I live in. I had the privilege of attending the funeral of a fine man of God, and was able not only able to enjoy some very scenic views, but was able to proclaim the Word of the One who created all of this and allows us to enjoy it. It was a good weekend!